I absolutely love FenCon, which starts today. I missed it last year due to a family obligation, and was absolutely determined not to miss it this year. With two small babies in tow, though, as well as a broken wrist, I’m having to curtail my activities quite a bit. I’ll be attending tomorrow and participating in two panels: a superhero movie overview at 10, and a random novel reading panel at 3. I’ll also do my best to say “hi” to old friends between those panels. I’ll be the one with the lovely wife, the double stroller, and the bright red cast on his right arm. Ian Healy's Just Cause is a slam-bang good superhero story: part JLA, part Young Romance, with some splashes of Our Army at War to keep you on your toes. I thoroughly enjoyed Mustang Sally's adventure and look forward to reading more of Healy's work. Tell us about The Archmage. The Archmage is a sequel to the novel Just Cause, starring the super-speedy Mustang Sally along with the rest of the Just Cause superhero team. In it, I explore the use of magic in a superhero setting. In this case, a character named Wolfgang Frasier has been slaughtering other mages around the world and taking their power for himself. He’s gotten so powerful that there is only one other mage remaining besides him, the hero Stratocaster, who is a member of the Lucky Seven hero team that Sally trained with at the beginning of Just Cause. If Frasier manages to kill Stratocaster, his power becomes absolute and he could plunge the entire world into darkness, becoming its total ruler. This is, of course, his goal. Sally and the other heroes have no choice but to try to stop him, even though his power is so great that he can call armies of the dead out of the ground and turn anyone captured to his side. There’s a nifty bit of time travel thanks to magic going awry that sends the team back to the 1870s, and of course some great intrigue and epic, cinematic battles. At the same time, Sally’s relationship with Jason is growing much more complex and suffering growing pains all its own. LHP is an imprint I created specifically for the release of my novel-length work and collections. I didn’t want to simply release them under my own name as the publisher because with such a wide variety of genres under my belt, I wanted something to tie them all together. This way, if someone buys The Archmage, likes it, and looks to see what else LHP has to offer, they might discover Blood on the Ice or Pariah’s Moon or Troubleshooters. You right in multiple genres. Talk about that. I don’t like to be pigeonholed, so I don’t force myself to stay in one genre if I’m interested in writing in a different one. This goes against common wisdom of building a brand, from what I’ve seen on the internet, so I’m forming my own uncommon wisdom instead. That again ties back to the LHP imprint by creating a common thread beyond just my name. I follow my muse, so I’ve gone from superheroes (Just Cause, The Archmage) to funny science fiction (The Milkman), to cyberpunk (Troubleshooters), to fantasy/Western (Pariah’s Moon), to urban fantasy sports (Blood on the Ice), to religious symbolism (Hope and Undead Elvis) and even more. And if my agent sells The Guitarist, I can add “Mainstream Young Adult” to my genres. So you’re self-published, but still have an agent? I do have an agent, Carly Watters of PS Literary Agency in Toronto. She represents my Young Adult work only, and when we discussed the possibility of her representing me, we both agreed that she could still effectively represent a portion of my work and I could still effectively release my speculative and adult fiction without interfering with one another. I am, in fact, searching for a second literary agent to represent The Oilman’s Daughter, the epic steampunk/space opera that I coauthored with my dear friend Allison M. Dickson. What’s it like working with another writer? I’m not sure I have anything better to compare it to than a successful marriage. We worked very closely together on the project (two time zones separating us notwithstanding!). We had complete trust with each other, and were able to discuss what should have been extremely divisive and difficult issues not only with calm heads, but with a sense of joy that only two opposing viewpoints between dear friends can bring. The best thing about working with someone like that is going back through the manuscript and not being able to tell exactly who wrote which parts. That’s just awesome. Who are your biggest influences as a writer? From comics, I'd have to say Alan Moore, Frank Miller, and Keith Giffen are the big influences on me. Alan Moore's plotting of Watchmen was masterful, and I strive to achieve that level of depth. Nobody writes humor better than Giffen. Frank Miller can convey tremendous story and characterization through deceptively simple artwork and dialogue--showing how you don't need to have the glitz and bling to tell a story. From the world of prose fiction, I'm inspired by the collective authors of the Wild Cards series, edited by the venerable George R.R. Martin. Mike Resnick (Santiago: A Myth of the Far Future) has one of my favorite narrative voices of all time. Michael A. Stackpole (Star Wars Rogue Squadron novels) has a deft hand with writing action sequences, which is something I admire greatly. Alan Dean Foster is to prose fiction what Keith Giffen is to comic books. As we both know, superheroes are largely associated with comic books, cartoons, and movies. Prose fiction, not so much. 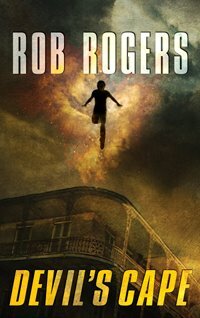 What do you think are the unique challenges of writing superhero prose? Writing superhero prose isn't different from writing any other kind of story. At the end of the day, they're stories about people. Costumes and powers are just incidentals compared to human drama. The bigger challenge is the marketing of said material. Superheroes have been in such a small box for so long that it's hard for some people to grasp the idea of prose superhero fiction. "No, it's not a graphic novel," is the phrase I've had to utter most frequently when telling people about my work. Bookstores don't really know how to deal with the genre either, because superheroes really deserve their own location/genre classification. They're not just science fiction, or just fantasy. They have their own tropes which in my mind, makes them a legitimately separate genre. For the most part, when I put them up for sale, I classify them as "contemporary fantasy" and "general science fiction," which seems to cover the bases as best as possible. Are you reading any comics today? What are your favorites? I'm a diehard DC guy, and I was so disappointed when they rebooted everything this year. I think they turned a lot of titles I formerly enjoyed (like Green Arrow and Catwoman) into crap. There have been some bright spots in the new line: Batwoman, Stormwatch, Birds of Prey, and World's Finest that consistently make their way to the top of my reading pile. What was your favorite superhero movie of the year so far? I still haven't seen The Dark Knight Rises so I can't speak to that. The Avengers was my favorite of the year and in my top 3 favorites of all time (the other two being, in no particular order, The Incredibles and Batman Begins). Cage match: Doctor Fate vs. Doctor Strange. Who wins? Answer #2: Is there a preliminary match between Zatanna and Scarlet Witch? In mud? The Archmage, book 2 of the Just Cause Universe series, launches from all online retailers on September 1, 2012. You can purchase exclusive signed editions directly from Local Hero Press (http://localheropress.ianthealy.com). Find Ian on Twitter as @ianthealy, and follow Local Hero Press as @LocalHeroPress. Just a couple of quick minutes here: I’m heading to ArmadilloCon 34 this weekend. If you’re in Austin, I’d love to see you there. I’m looking forward to seeing old friends and to some lively discussions. Hobbits vs. Avengers? Star Wars vs. Star Trek? Aliens vs. Predators vs. Terminators? Our intrepid panelists attempt to ef the ineffable and address the truly deep questions: What constitutes not just a great SF/F movie, but an outstanding series? Sa1100SA Fringe: Why We Like It -- or do we still? How did this show become so watchable and interesting? Has it maintained its promise, or jumped the shark? I released the novella for Kindle a while back, but hadn’t gotten around to pushing it out to Nook yet. Neither the Amazon page nor the Barnes and Noble page has any reviews yet. If you’ve read the story, I’d love for you to post a review. Just a quick reminder that my most recent Devil’s Cape story, “Star of St. Diable,” was published in the second issue of Comets and Criminals this month. It features Doctor Camelot and some armored combat on an oil rig. The story will eventually be available on the Comets and Criminals site for free, but you can buy the whole issue in Kindle, epub, or PDF format for a mere $2.99 right now and get a bunch of cool stories. Tell ’em I sent you.